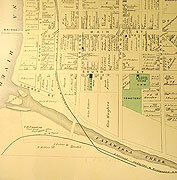 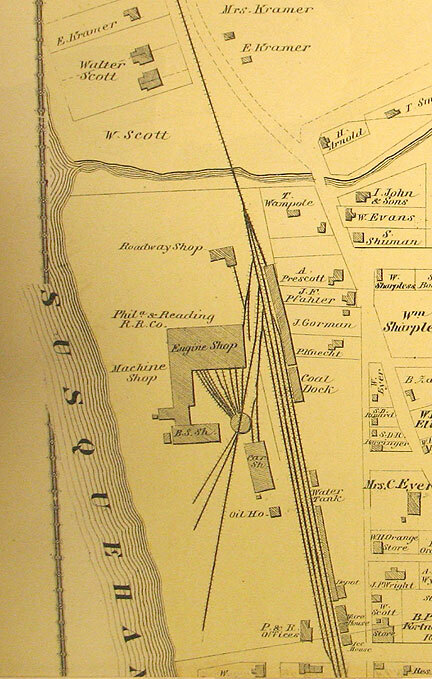 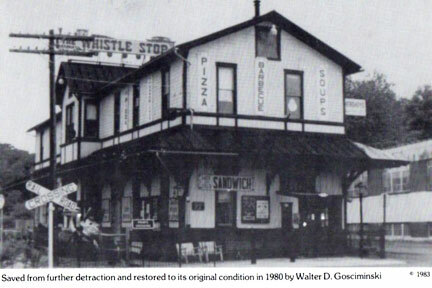 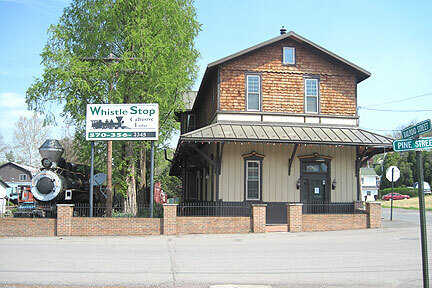 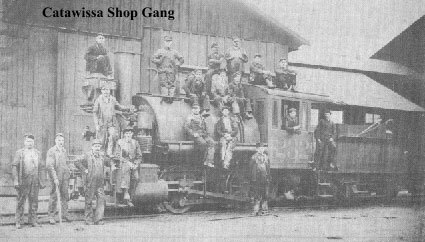 A Brief History - Once the home of the Catawissa Railroad. 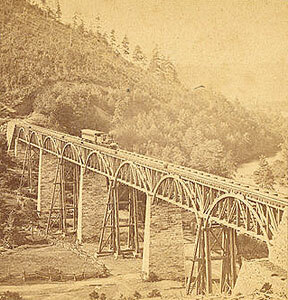 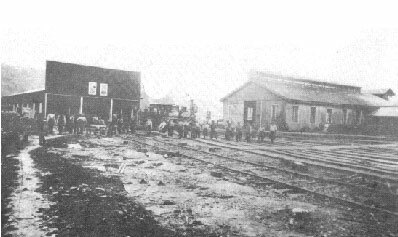 One of the earliest railroad in Pennsylvania. 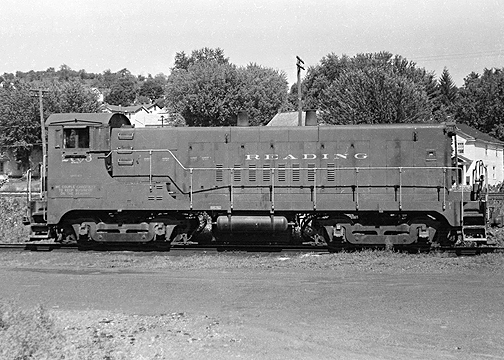 Over the years Catawissa has been served by the Catawissa Railroad, Reading Railroad, Pennsylvania Railroad, Penn Central Railroad, Delaware and Hudson Railroad and now the Canadian Pacific Railroad. 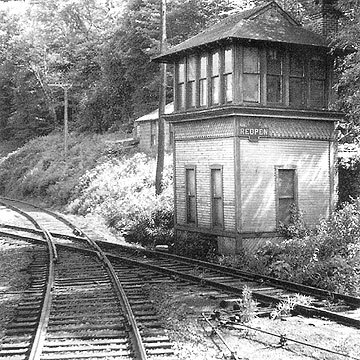 REPEN Interlocking Tower was located across Catawissa Creek, at this point was the crossing of the PRR and the RDG Railroads. 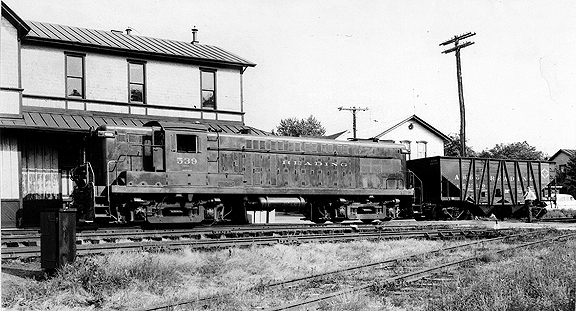 One of two locations in Catawissa where the PRR and RDG crossed. 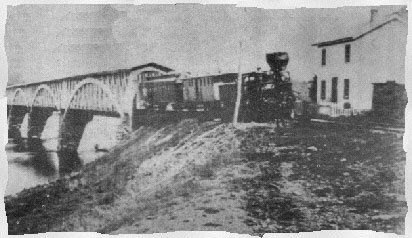 Photo was taken in 1952. 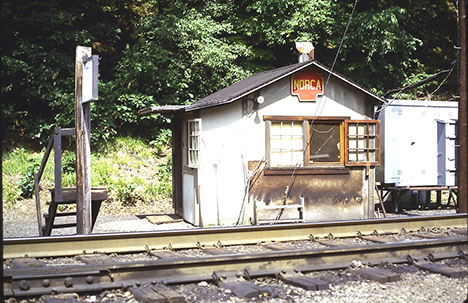 1980's Postcard of the Catawissa Station. 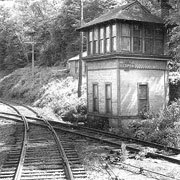 Catawissa Station in the Early 1930's. 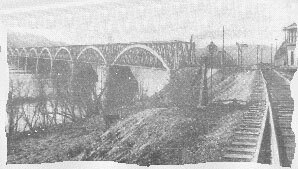 Bridge at Catawissa that crosses the Susquehanna River before the PRR came to town. 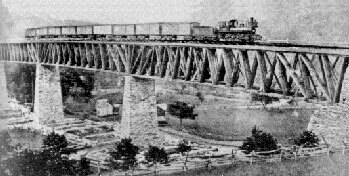 Bridge at Catawissa that crosses the Susquehanna River after the PRR came to town. 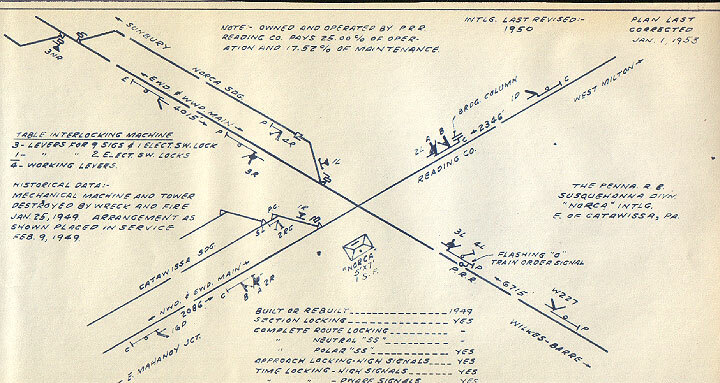 Interlocking and Signal Blue Prints for Catawissa including REPEN and NORCA Interlocking Towers, circa 1930's. 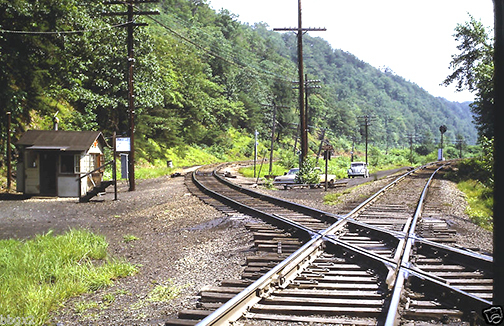 Interlocking and Signal Blue diagram for Catawissa including REPEN and NORCA Interlocking Towers, circa 1950's..
Old map showing the Catawissa Railroad track route, Round House and Shops. 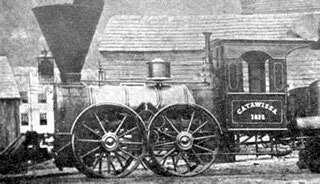 One of the first locomotives in Catawissa. 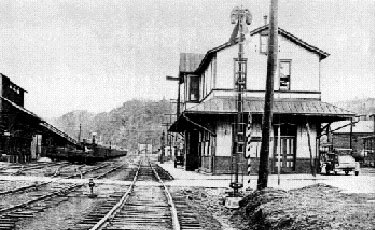 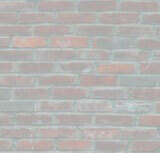 A Brief History - Mainville was once a stop on the Catawissa Railroad and later served by the Reading Railroad.